Yesterday’s post set us to hunting: as blizzards and ice give way to spring lightning and wind, how many other weird weather phenomena lie hidden in the news? 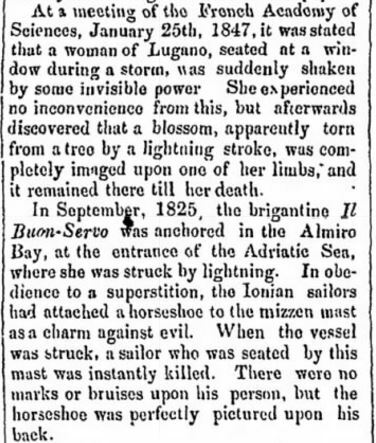 Obviously, we’ve never believed that history is boring, so we wondered: how often did our ancestors get killed by lightning or blown away by a stiff breeze? Here’s a few fascinating stories from the annals of meteorology in the Midwest and beyond. 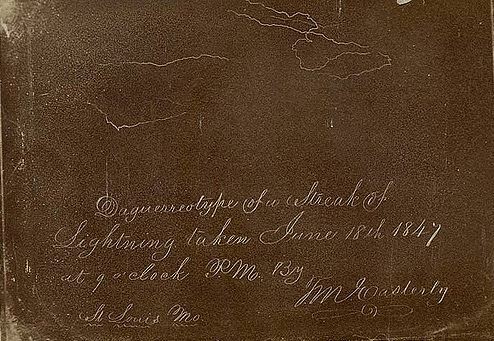 The image above, thought to be the oldest photograph of lightning, was captured in St. Louis, Missouri, by T. M. Easterly in June 1847, eight years after Jacques-Louis Daguerre announced his invention of the daguerreotype in Paris. At a time when cameras often required exposure times of thirty seconds or more, it’s amazing this was taken at 9:00 P.M.
At the height of the new art form’s popularity, daguerreotypes entered the realm of lightning lore. 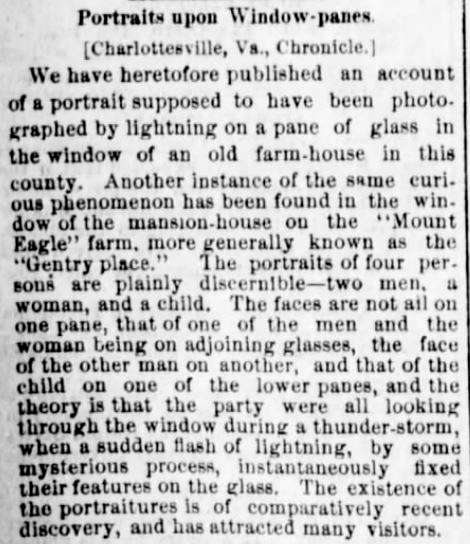 As part of a growing fascination with photography (Greek for “writing with light”), those tales (including a few of the “tall” variety, surely) were soon making the rounds of American newspapers. 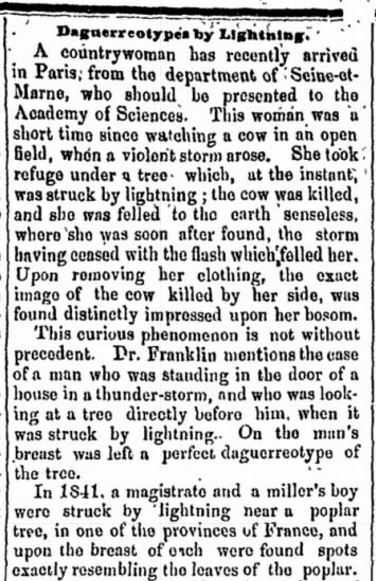 Yet there was actually a good scientific explanation behind so-called “lightning daguerreotypes” — and they weren’t the kind Easterly was making in St. Louis. 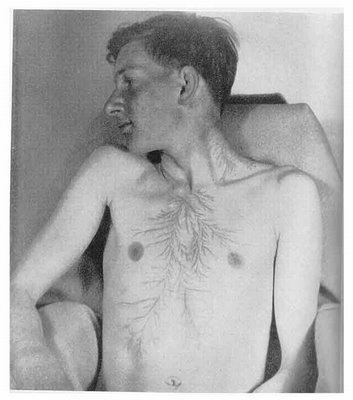 What most witnesses of lightning strikes didn’t know in the 1850’s is that these patterns on the skin weren’t “daguerreotypes,” but Lichtenberg figures. Also called keraunographs and lightning flowers, they can look exactly like tree branches, plants and sometimes round coins. (Where the cow shape or the number 44 came from is a bigger mystery.) Named for the 18th-century German physicist Georg Christoph Lichtenberg, a student of electrical discharges, the figures often occur after any high-voltage jolt through insulated material like the human body. Not unlike photographs, they can be produced and preserved in glass, resin and wood as 3-D “electrical trees.” They also remain behind as scars. The Shakers incorporated all kinds of unusual spiritual phenomena into their unique faith and believed that their founder, an English textile worker and single mother named Ann Lee, was the second coming of Christ. 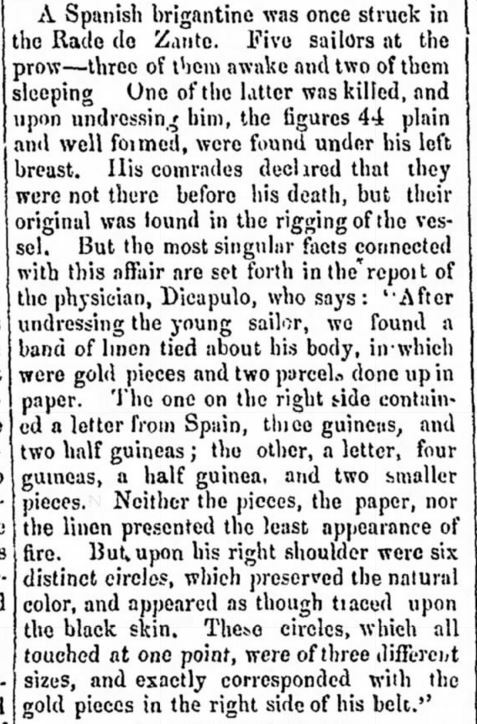 They certainly believed in spirits and spirit possession, so the following story (either from New Hampshire or Connecticut) probably wasn’t too out of the ordinary. Even as metal daguerreotypes and tintypes gave way to the age of Kodak and the paper photograph, stories about human, animal and other images etched by lightning onto some kind of light-sensitive backdrop didn’t immediately go away. 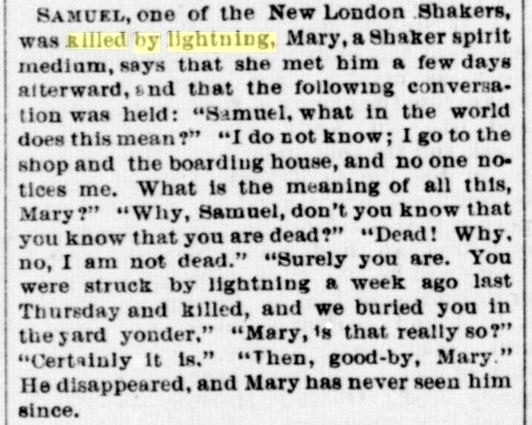 Like Shaker Sam’s lightning-blasted spirit, this story — originating in the Charlottesville (Virginia) Chronicle — also appeared in 1880. It borders on the supernatural. As we showed in yesterday’s post, wind can be as fearsome and downright bizarre as any lightning bolt. “Freaks of the storm” — from flying cows to airborne newborns — would fill a small book, some of it tragic, but a lot of it funny. Here’s a few more tales of the wind. 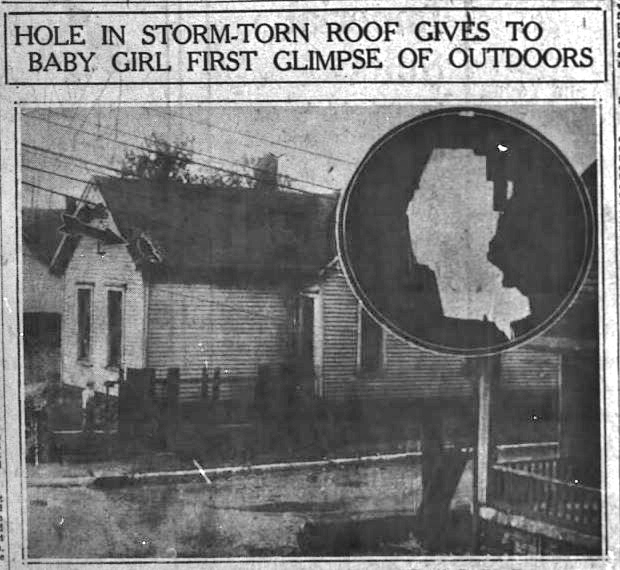 Mattoon, Illinois, was also hit hard that week, probably as part of the same “patriotic” storm-front — which, as it barreled east from the Plains, wasn’t done pulling tricks. 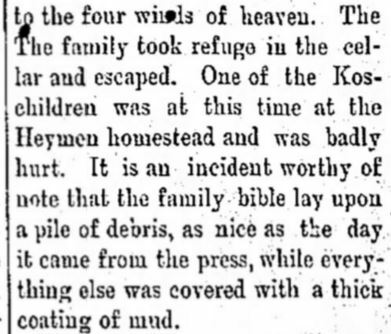 A farm animal in Minnesota was less fortunate than the song birds in Louisville, but the farmer who got picked up by this 1892 cyclone was lucky the pig was there. Tornadoes could be symbolically choosy — and a little morbid — about what they carried away or spared. 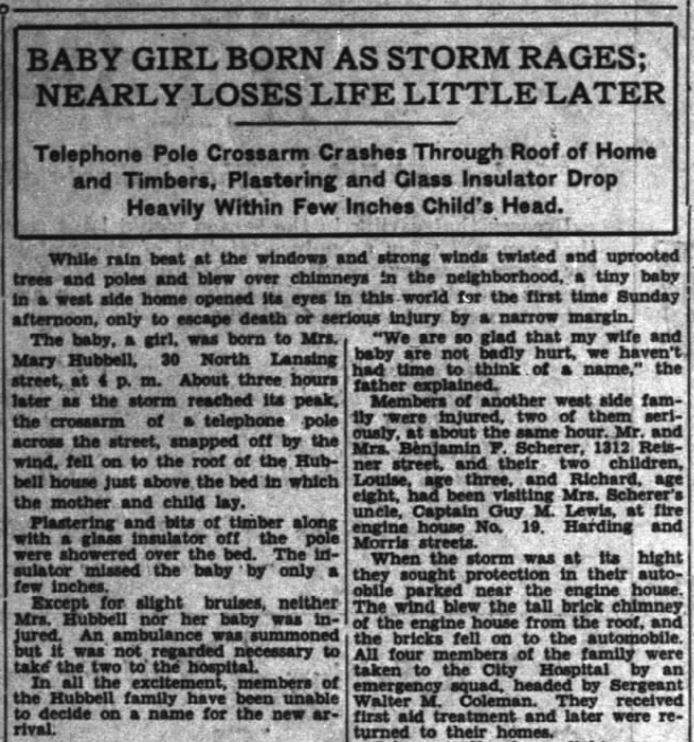 Take the cyclone that plowed through part of Omaha in March 1902… and the one that cut up a small Iowa town in 1895. It was a wild time.